So you are all set to have an Android application for your non-profit organization. If you are no haste, perhaps, you shouldn’t be, in choosing a nonprofit app development company, you would have got the blueprint of your app ready before inking a deal with a technology partner. If not, it’s the time to spend some time in the boardroom, and get the job done. Wondering where to start from? Well, we will suggest you start the debate with user experience or UX. Beauty is just a skin depth. So, this old saying doesn’t seem to have lost its significance in the realm of mobile app development. People love to see beautiful things, but start getting disenchanted with it, when it fails to fulfill their needs and expectations practically. The same goes for a mobile application. People use only 25% of the apps they have on their phone. The rest 75% remain in abeyance at all. With 66% of the US market dominated by Android alone, going with Android app development doesn’t ask for any argument. But providing users with the right experience matters. That’s where comes the role of User experience design. It not just attracts users superficially, but also gives them reasons to stay with the app, despite tough competition from competitors. #2. “57% of people won’t recommend a brand, if it has got a poor mobile user experience, according to Douglas Karr, a keynote and marketing public speaker. What do you want to achieve with the technology investment? Obviously, user engagement and conversion. Interestingly, recommendation, or better say word-of-mouth is a catalyst that can help you achieve your goals in a faster and easier with. So, we urge you to hire the Android app development company that can do justice to the user experience following the guidelines of Android. Delivering a quality native user experience, you make users your brand ambassadors. It prompts them to recommend your app to their peers and family. Read 25 UX Tips That Make Conversion a Certainty on Android Apps. Mobilizing people to donate to your cause is no more a cakewalk. You might have experienced the hardship well while attempting to do so with your ATL or BTL fundraising campaigns. The Chronicle of Philanthropy claims that 33% of the target audience don’t trust in the nonprofits, and 40% believe that they don’t use their fund wisely. No matter, the trust has a lot to do with the principles, practices, and ethos of an organization, but those who trust you must be honored. Isn’t that true? So, if you are serious about fundraising app development for your nonprofit organization, make sure, at least, that a poor user experience doesn’t play the foul game and discourages donors from completing the checkout. The report claims that 43% of Millennials, 24% of Gen X, and 21% of Baby Boomers come in touch with a nonprofit organization over social media and, it’s an open secret that mobile is the favorite platform for one and all. 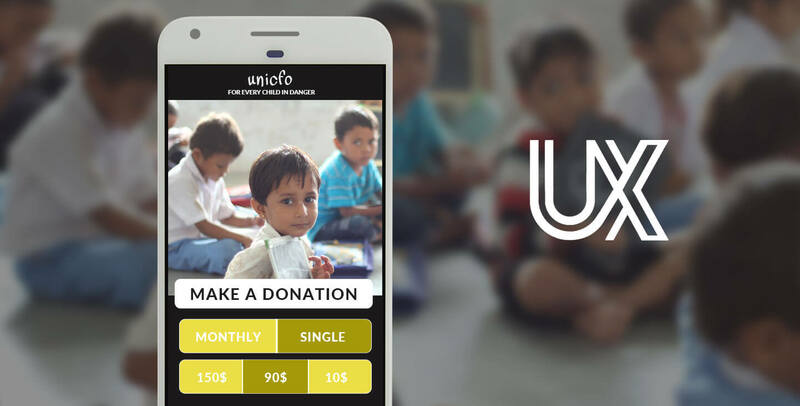 In the wake of this digital content consumption shift, it’s the need of the hour that you get an engaging app with the right UX designed and built for your non-profit organization. The stats and discussion prove that the user experience of your Android app is of paramount importance. It connects the app with the users and make them trust the causes you stand for, and urges them to volunteer and donate to that. However, there shouldn’t be a blinkered view of the UX design and nonprofit app development. It’s a complete journey of the users through the app, and not just a manifestation of the choice of color, font, and text size. So, while hiring an Android app developer or company make sure that the person or company has got a thorough experience in creating nonprofit apps.